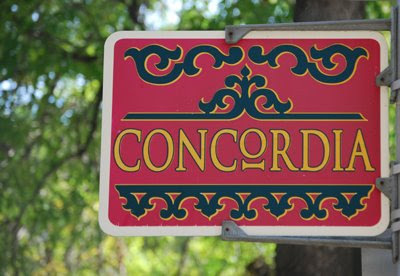 Bordered by Highland Avenue on the north, Wisconsin Avenue on the south, 27th Street on the east and 35th Street on the west, the Concordia neighborhood was home to the city's elite in the early 20th Century. The area fell into disrepair in the second half of the 1900's, and began its renaissance in the 80's. The area got its name from Concordia College, which is now the Indian Community School. The neighborhood is also home to the first nationally recognized Bed and Breakfast district in the country.